Thousand Oaks Therapist: Fredrick Harlan - Therapist 91360. Send A Message To Fredrick. I am a Marriage and Family Therapist Intern (IMF 74125), who specializes in helping couples and individuals who seek to strengthen their relationships. Likewise, I assist men and women cope with infertility, be it their issue or that of their partner. I experienced the challenges of infertility firsthand as my wife and I struggled through eight years of infertility before becoming parents. I has made it his professional mission to speak to any and all men who are or have dealt with infertility in order to understand their experience and pass along their lessons of courage and hope. Fred is an expert in communication and interpersonal relationships. He has perfected the art of listening on which he is frequently complemented. He is a skilled educator and speaker having taught and spoke in university, professional and community settings. He holds masters degrees in Clinical Psychology and Speech Communication, and a BA in Theatre. 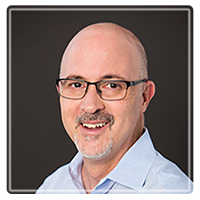 Fred brings 20 years of experience in management, Training & Development, Human Resources and executive coaching to the counseling arena, during which he honed his problem solving and conflict resolution skills. He worked in these areas in the engineering, biotech, mortgage, real estate and construction industries. Fred has owned and operated several successful businesses, which afforded him with personal knowledge of the stress and challenges of today’s working couples and individuals.